Common preventable problems crop up when investigating disease outbreaks in the cattle industry. This column will outline some of the common problems I see and hopefully help you prevent issues on your farm or ranch. A number of clostridial disease outbreaks occur where booster doses of eight-way vaccines have not been given. For example, clostridial disease will start to show up near the end of the grazing season in calves vaccinated with blackleg in pastures contaminated with clostridial (blackleg) spores. If this is the case, vaccinating with a booster shot three to four weeks after the first shot and before turnout or vaccinating mid-summer may avoid this. Producers dealing with clostridial diseases must make sure they have selected the right vaccine. If tetanus or redwater coverage is required, they must buy a vaccine with these two antigens. Redwater (clostridium hemolyticum) has a shorter length of protection than the other clostridial organisms. Dairy cattle in Eastern Canada can get clostridial disease if they are injected with products such as prostaglandins that bring cattle into heat. These products cause slight bruising, and the cattle are exposed to spores in the dirt when they go outside or are fed hay. No cattle housed inside are protected from clostridial disease. All bison herds should be vaccinated. As well, producers should clean up dead stock as best they can. This is paramount with a disease such as anthrax, but it also applies to clostridial disease. Leaving out carcasses attracts coyotes and other carnivores, and the spores are spread around, further contaminating the soil and putting other cattle at risk. Vaccine reactions or lumps can be expected to varying degrees. This is the way vaccines work — creating an immune reaction. Some lumps are larger than others, and they seem to be worse in small ruminants such as sheep or goats. More abscesses crop up when vaccinating in the rain or on wet cattle, which I think is caused by dirt and manure getting washed into the needle hole. Don’t place separate vaccines close together. As well, vaccinate show cattle behind the elbow on preferably the left side. By always injecting vaccines in the same place, producers can determine which ones are causing the reactions when multiple vaccines are given. 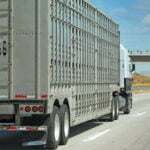 Producers often think that vaccines are 100 percent protective. 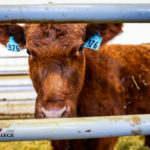 Some vaccines, such as the clostridials, may come close, but most vaccines are labelled as “aids in prevention,” which means 80 percent or greater of the cattle have been protected in trials. By vaccinating for most diseases, we are looking to get the majority protected so that no disease outbreak occurs. Feedlot veterinarians know that in spite of doing everything right and vaccinating for the right things, we will still get some cases if exposure becomes high or concurrent disease situations are suppressing the immune system. Allergic reactions are also re-ported, and although rare, they can come in multiples. 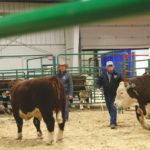 The vast majority can be saved if producers have their emergency kit available and stocked with epinephrine, antihistamines and potentially steroids. It is important after vaccinating to keep cattle in a pen for about a half an hour so that a close visual examination can be done. Heavy breathing, puffy eyes or abnormal behaviour needs treatment. You may not have had an issue for years, but the close examination may save a life. The processing and handling facility may need to be checked if common injuries are detected. Signs of blood are a particular red flag. I always want to know where the blood came from, what injury was involved and whether it is preventable. Veterinarians and ranchers must let the industry know about disease outbreaks, production losses and nutritional deficiencies so that they may be prevented on others farms. It can be communicated anonymously. We must always be on the alert for emerging diseases and look after biosecurity on our farms. This co-operative spirit will make the cattle industry stronger and maintain our beef’s strong global reputation.